If you want to improve your outdoor areas, without investing a huge sum of money in landscaping, then paying attention to your trees can be a good idea. Trees easily become overgrown, they can create extra work through falling leaves and branches, and they can even damage your home or outdoor surfaces when you let large roots become a problem. 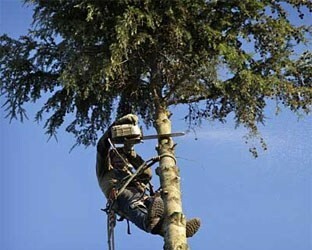 If you want a tidy yard with healthy trees, then you’re going to need tree services Orlando. These are four ways that a trimming service can make your yard look better, providing you with a more comfortable and presentable outdoor space. Seasonal fruits can allow you to have fresh and natural produce in your home, and while they’re growing, they will even help to brighten your yard and make your home look more appealing. Just like any living plant or tree, a fruit tree needs to be pruned to be in its healthiest condition. Dead and deteriorated limbs can encourage insect infestation, or other diseases that can impact the health of the tree and your total fruit yield. Hiring a local company to maintain your fruit trees won’t cost you much, and the benefits will far outweigh the investment. Hazardous Branches Aren’t Just Unsightly; They’re Dangerous, Too! One of the most obvious reasons to hire tree services Orlando, is to have hazardous branches removed from your larger trees. These branches can damage your roof and building exterior, they can fall on vehicles if they’re near your drive and parking area, or they could even injure you or someone in your family. Removing hazardous branches before the storm season is one of the most essential aspects of home maintenance, and it’s simple when you call the professionals who have the right tools and safety training. Well cared for trees can make your yard look much better, provide shade in the summer, and they can even attract birdlife to your home. Unfortunately, if a tree is not cared for properly, it will become an eyesore rather than an asset. With Orlando tree pruning, you can ensure that your trees are able to grow in good health, and they’ll look much better when they are regularly maintained. A rotting tree is not something that you want on your yard, but if you have an older more established tree, then simply removing it might not be the best option. Diseases that infect the limbs of a tree can easily spread if the tree is not pruned to a high standard. By hiring an expert, you can save trees that would otherwise be left to wither and die, and you won’t have to go through the process of planting replacements, and waiting years or even decades for them to grow into maturity. Not every tree cutting company is the same, and that’s why you’ll need to choose carefully when you are looking for a service provider. Whether you need to treat disease, prune a larger tree, remove dangerous branches, or even clear tree stumps or unsightly trees from your property, the team at Advance Tree Pros is your best option. Not only do we provide affordable services, but we’ll do it in a way that is convenient, and on a schedule that works for you and your family. We’re one of the most trusted companies in Orlando and Central Florida, and we’re preferred by both home owners and commercial establishments. We always bring the right equipment for the job, and can even deal with intensive ground clearing for new properties or renovations. Our staff are fully trained and qualified, and we’re bonded and insured for your absolute peace of mind. We’ll take all limbs, leaves, and debris away from your property, so you’ll be left with excellent results that leave you feeling proud of your home. Don’t leave your trees to devalue or damage your home, and don’t start a job that you don’t have the time or knowledge to finish safely. Call us today to arrange for a same day estimate, and have confidence knowing that you’ve entrusted the job to Florida’s best tree services company.